In golf, getting the right ball is just as important as getting the right club. Though this endeavor is not as exciting, your golf ball affects your approach and feel of the game. Pick the wrong ball and your learning curve will surely suffer. In case you didn’t know, manufacturers design a variety of balls to meet the different needs of different players. Needs are usually based on the skill level of each individual (whether high handicap, low handicap, or somewhere in between). Choosing will be influenced by several factors such as swing speed, control, drive distance, flight, spin, and even feel. Each ball design tries to address a specific objective. This article will walk you through the intricacies of selecting the best golf ball for your game. For the recent years, the progress of golf technology is so fast that it looms the possible redesigning of golf courses in the near future. Some of the modern golf balls have longer flight coverage, superior spin-separation, and controlability that it makes even the most prestigious courses obsolete. Of course, it is true that the ball determines the totality of the game. You’ll still need technique and knowledge. No matter how long the ball glides, you still cannot assure its direction and overall accuracy. When choosing a ball, many players are brand-loyal (settling with the staple names like Callaway, TaylorMade, and Titleist). But aside from the brand name, you’ll need to understand basic specifications (and terminologies) if you want to reach the next level. To answer the key question, you need to remember that the best ball is the one that suits your skill set, playing level and growth pace. It is not the most expensive, nor the newest type. Its price won’t matter much if you lose it just after few swings. In addition, the constant changing of brands/types will be detrimental to the development of your game. This is because a ball with different feel will only mess up with your consistency. As mundane as it seems, every golf ball is a product of years of research on aerodynamics and ballistics (a sweet science that is deeply appreciated by the experts of the game). A ball can usually be categorized into three parts: core, middle layer, and the outer cover. 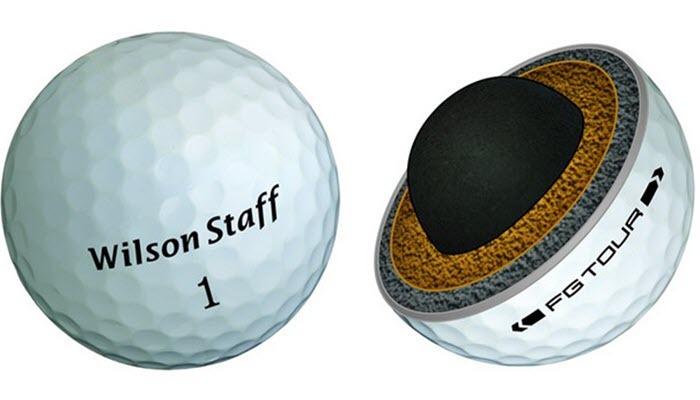 As the name suggests, it is at the center of every golf ball construction. It is usually made of a compressed rubber, but sometimes of a liquid center. The core provides the explosiveness of the hit. With regard to compression, each ball is usually numbered with 80, 90, and 100 (though the measurement goes from 0 to 200). An 80 compression is usually for beginners or elderly with slower swing speed. A 100 compression, on the other hand, is preferred by skilled players. This will be explored in later part of the game. The outer cover (referring to the outermost layer) is usually made of Surlyn or urethane, sometimes of Balata. DuPont introduced an ionomer resin named Surlyn in the 1960s. It is highly durable (will not cut or scuff easily) and is the favored cover for “distance balls” (usually used by amateurs to improve the distance of their drive. Unlike Surlyn, the design of urethane is more focused on the delivery of spin and control. It is significantly softer. For such reason, expert players enjoy this ball as it gives them better feel when hitting the ball. It is not as durable but it will surely last long enough (as long you don’t drive it into the lake). These are the symmetrical dents/dots on your golf ball. Some people would only see it as visual design but it is actually very important to the overall game. Your average ball has around 350 to 450 dimples with an average depth of 0.01 inch. These dimples give your ball the necessary drag for a longer flight. Here’s the science of it: When the ball takes flight after hitting, it will constantly slow down as it interacts with the air pressure. As the ball glides, the dimples cause the molecules to roll down. This phenomenon creates a thin turbulent boundary layer and it clings to the surface of the ball. As a result, the ball will cover extra yardage than a perfectly smooth ball. Many manufacturers even described that a dimple-less golf ball will only travel half the distance of your average golf ball. 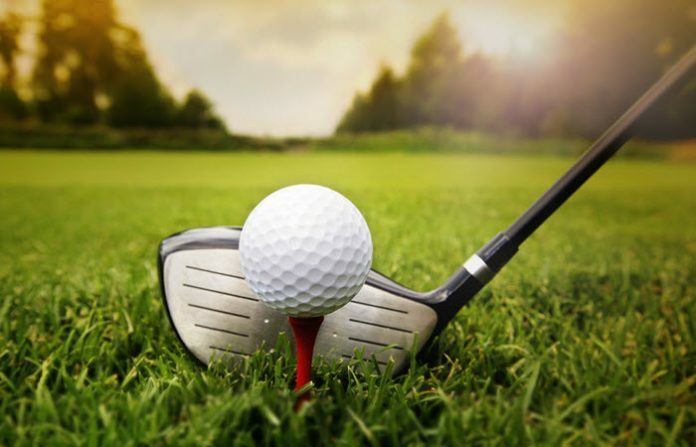 In the past, golfers observed that they have longer drive yardage when they are using dented and scuffed balls. As a result, many used imperfect balls over brand new smooth balls. After years of development, manufacturers started to design balls with dimples for everyone to enjoy! Every ball follows a specific construction. The more complex the construction is, the more expensive the ball would be. But complex construction also produces a more nuanced feel and reaction when hit. 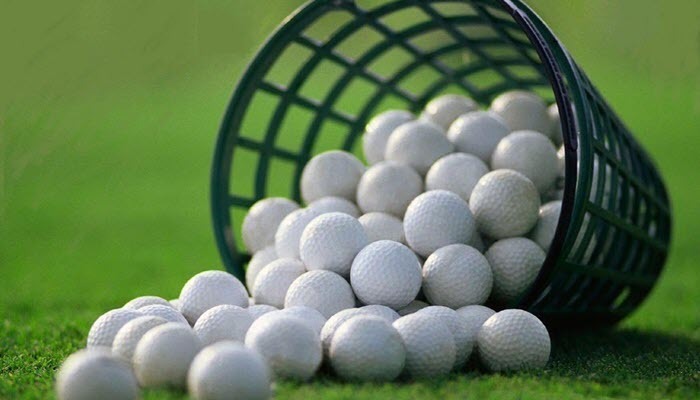 Listed below are the basic golf ball constructions available in the market. This is the most basic kit for green golfers. This design is made of a single material from in and out. For instance, a one-piece Surlyn means that the ball is just a solid Surlyn with dimples. It doesn’t have layers like other balls have. A one-piece construction is usually very durable (even indestructible) and easier to control. However, it cannot cover a long distance (due to minimal compression) or deliver much spin. 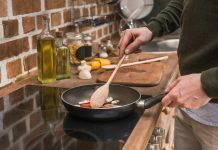 On this list, this one is the cheapest to produce. This type is not used as an official ball for competition. Nonetheless, it is good ball type if you’re still new in golf. It is cheap and it will give you an idea of the game. 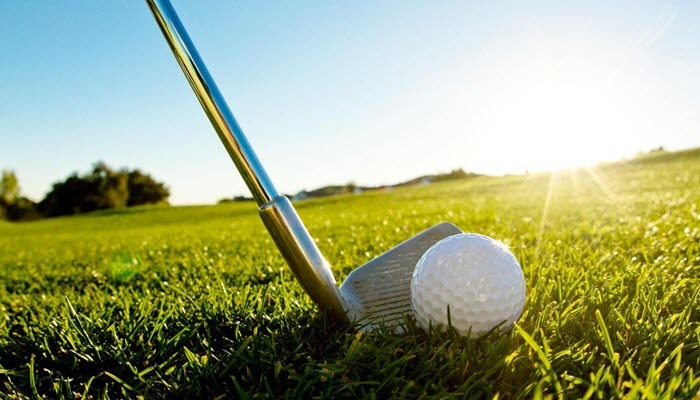 This type is also popular for beginners and some amateur golfers. It is very durable since it is usually made of hi-energy Surlyn and coated by a sturdy and cut-proof blended cover. In addition, this type gives the most distance among any other ball. It does not focus on the flight trajectory but on the high roll coverage. It is also cheap. If you want to practice your drive and swing speed, this is the go-to pick. If you are already consistent with your swing speed and want to improve your spin, the three-piece golf ball would be your next ball of choice. 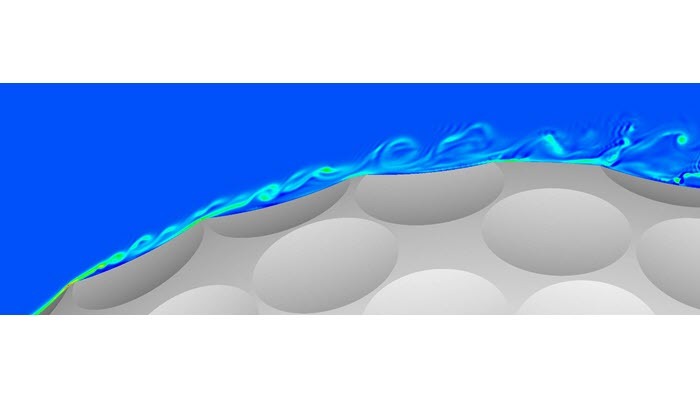 This is the first level of a golf ball with clear spin-separation behavior (not exhibited in one-piece and two-piece). The spin-separation is produced by the interaction of different layers. In terms of construction, it is composed of a core, a middle layer, and a cover. 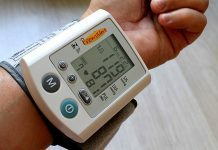 Its core can be solid or liquid; its middle layer is usually of enhanced rubber or liquid, and it is coated with a molded sturdy cover (usually of Surlyn or urethane). It is softer than the first two on these list. The design is geared towards the delivery of spin and flight trajectory. With the proper guidance, you can perfect your backspin with this ball! These are the newest and more expensive constructions; gives a soft feel, and excellent flight; all layers are with different function; core gives explosiveness, mid-layer/s for the efficient transfer of energy, and outer cover/s for increased distance, spin, and feel; design for complex spins and better flight trajectory; priciest ball in Pro Shop – but will also influence the game of the most skilled players. Compression is the measure of deflection that occurs when the club hit the ball. As mentioned earlier, this is rated from 0 to 200. Using this standard, balls rated lower deflects the most (meaning they bounce stronger and cover a lot of distance). They are also softer compared to high compression balls. 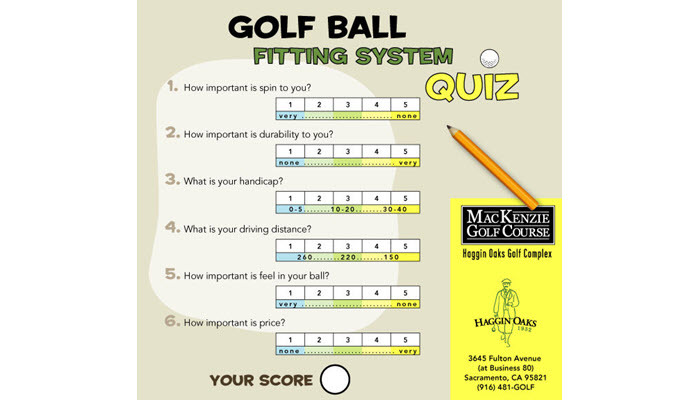 Factoring in the handicap level of players, lower compression balls are best for green/amateur golfer. High compression, on the other hand, offers better control and flight. This is the best pick for intermediate/expert players who have faster swing speed rate. Some shops sell cheap lake balls to their customer. These are basically retrieved balls that golfers lose in the water after an uncontrolled hit. Most of the time, lake balls are submerged for days or even weeks. If you’re wondering if its quality is the same with the brand-new counterpart, the simple answer is no. Their drive coverage is usually shorter than few yards. Discoloration is also expected. However, buying lake balls is an excellent investment for all average players. They are very cheap and they are good for practicing your drive. It gives you an affordable way of enjoying the game. Buying an X-out ball is also a way to save money. X-outs are balls that are considered as factory overruns or with slight blemishes. Unlike lake balls, they are brand-new but did not reach the ideal form. As such, they are a lot cheaper. 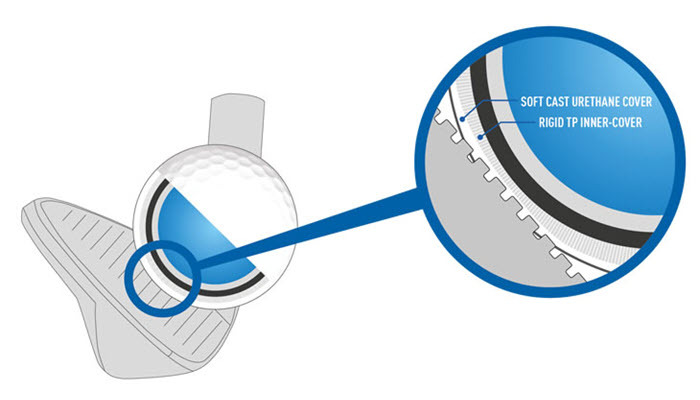 To help golfers on their needs, many golf clubs are starting to run “fitting sections” in choosing golf ball. In this case, professionals will recommend an appropriate golf ball based on your swing speed, technique, and overall skill level.